TRTC is capable of retrieving the data from the Engine Control Module (ECM) on your heavy vehicle. Whether its involved in a crash or you just want to know what data is stored in your truck, we can do that. The Forensic Link Adapter (FLA) ensures that your data is retrieved and stored in a forensically sound, tamper proof format. The ECM on a heavy vehicle stores a variety of data, but the most critical information for a crash investigation has to do with the Hard Braking Events. Hard Braking (sometimes referred to as “Quick Stop”) Events place a deceleration threshold in the ECM that, when met, save all recorded data surrounding that event. In some cases minutes of data before the crash can be saved. 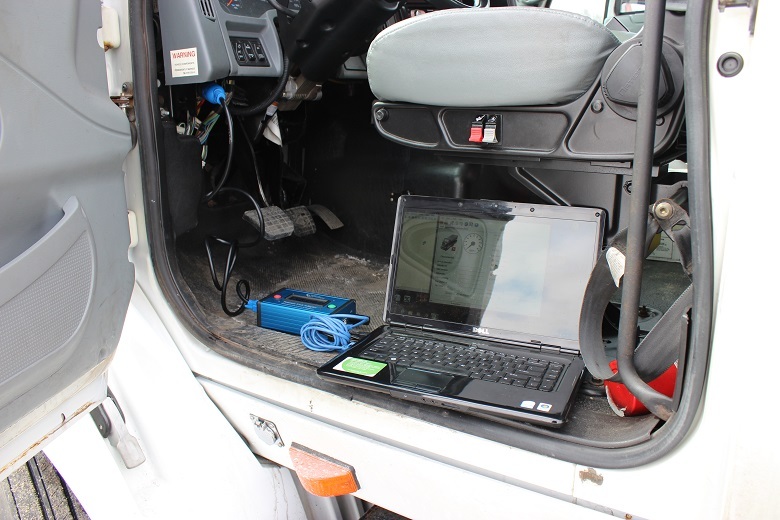 We have the ability to download through the diagnostics port in the cab or connecting directly to the ECM either while installed in the truck, or on a bench. Currently, we have the ability to download Detroit Diesel motors, Cummins motors, Caterpillar motors, and Paccar motors. Our coverage will continue to expand to cover ECM’s such as MBE 900/4000, Navistar MaxxForce, and others. Other capabilities will be available in the near future, such as the ability to download data from the Bendix ABS and Wabco ABS systems as well as a variety of other peripheral heavy vehicle network systems. We will continue to update this page as we obtain more capabilities. Contact Kendra at 616-214-8365 or email her at ksmith@trandtc.com for questions or pricing.